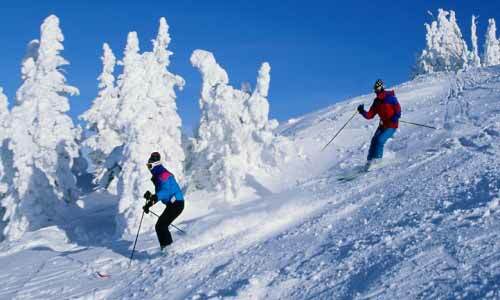 Located in Kullu district, Manali is a topmost tourist destination, due to its nice sightseeing. People may spend holidays with family and friends by visiting spots such as Hidimba Temple, Solang Valley, Old Manali, Rohtang pass, Manu Maharaj Temple, Van Vihar Park, Lord Ram Temple, Tibetan Monasteries, Kullu (40km away) and lot more. Summers are the most recommended season to visit here as dec.and Jan. are the coldest months also July to September are wet months.The hotels and resorts are ready to provide you accommodation facilities. Exciting Manali tour packages also give an opportunity to travellers to experience the clandestine charm of this beautiful hill station. One can reach here either by air /road/railway. Bhunta airport (50km) and Joginder Nagar station (50km) are nearest.Although it is connected by road also. Accommodation for a Couple in River side cottage.